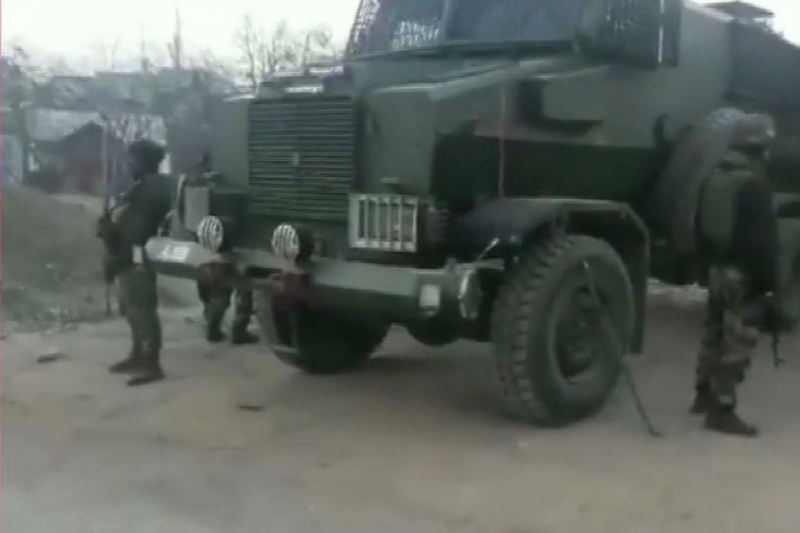 Srinagar: A heavy exchange of fire started between the militants and the forces following a 14-hour search operation in Yaroo village of Handwara in north Kashmir’s Kupwara district on Thursday. Locals said that heavy gunfire was heard around 07:30 am in the area. The area was cordoned off by the forces last evening following a tip-off about the presence of militants, said a police official. He said a joint operation was launched by Army’s 30 RR, SOG Handwara and the CRPF. “The whole area was cordoned off and lights were installed during the night to prevent the militants from escaping,” he said. Meanwhile, authorities have ordered the closure of Handwara Degree college, Higher Secondary school Handwara (both boys and girls), higher secondary Langate (both boys and girls) today in view of the gunfight. “Section 144 has been imposed around the gunfight site,” said ADC Handwara Gulzar Ahmad. Yaroo is around a kilometer away from Babagund where a gunfight earlier this month left two militants and five security forces’ personnel and a civilian dead.